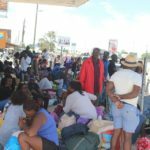 Hundreds of people have been stuck at taxi ranks in different northern towns since early in the morning on Sunday while each individual waited to obtain a seat on one of the long distance buses and minibus taxis to take them south in time to start work on Monday. A large part of the crowds gathered at loading points are school going children who needs to travel south to attend school which starts on Tuesday. The shortage of seats also led to a sharp rise in fees asked by long distance taxi operators for those who were able to obtain a seat to travel to Windhoek and other destinations further south. Hikers who Informanté spoke to complained of not getting transport to their desired destination on time, as the available buses and mini buses has resorted to only take along those going shorter distances to towns such as Tsumeb and Otjiwarongo at the price of N$350 which is being paid by those travelling to Windhoek. 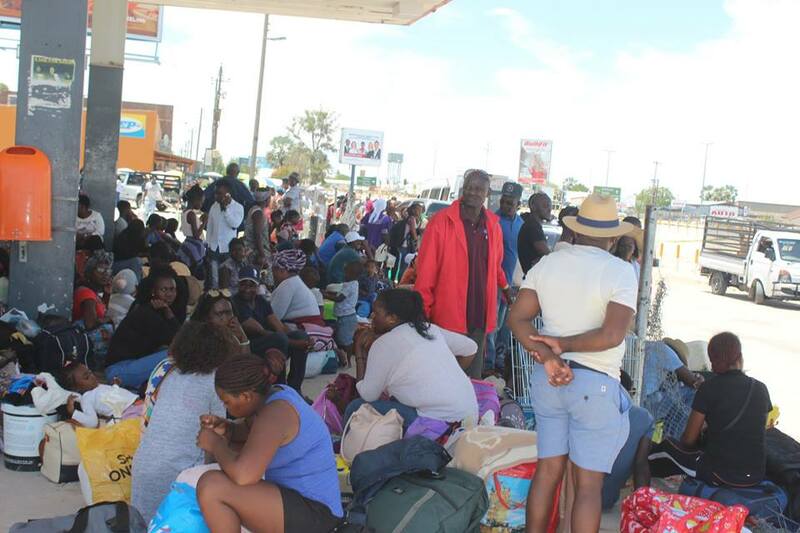 Hikers at Okatana service station and the new Oupa Indongo Open Market in Oshakati were left stranded and unable to get transport back to their destinations. It seems all hope has been lost and nothing can be done for them.